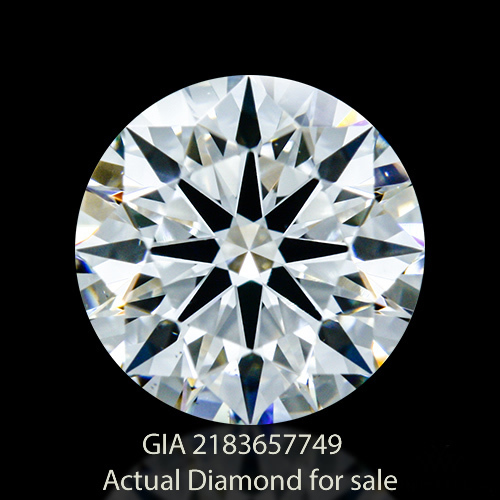 One (1) GIA Certified Round Brilliant Diamond. Faces up incredibly white and will be noticed from across the room. 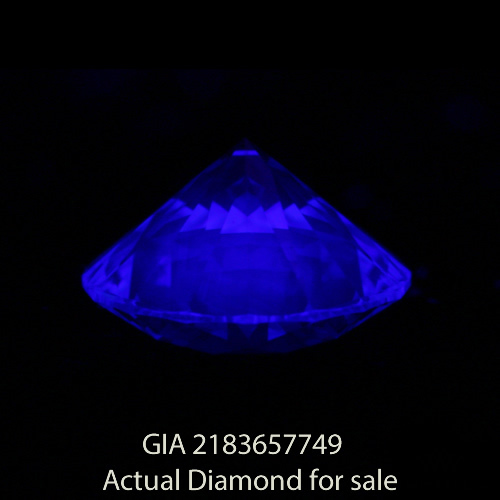 Strong blue fluorescence makes this diamond even more rare -- it emits a cool blue glow in the presence of a blacklight or direct sunlight (UV)! 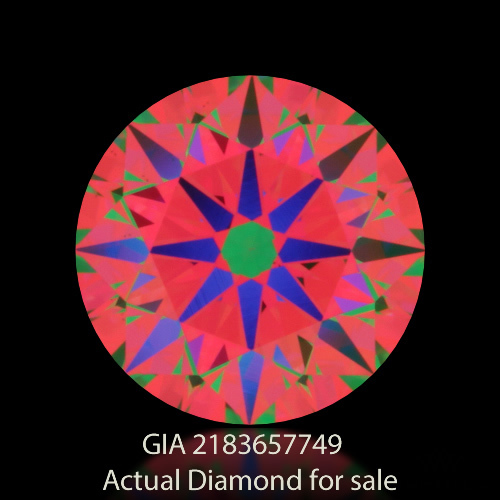 All images are of actual diamond. 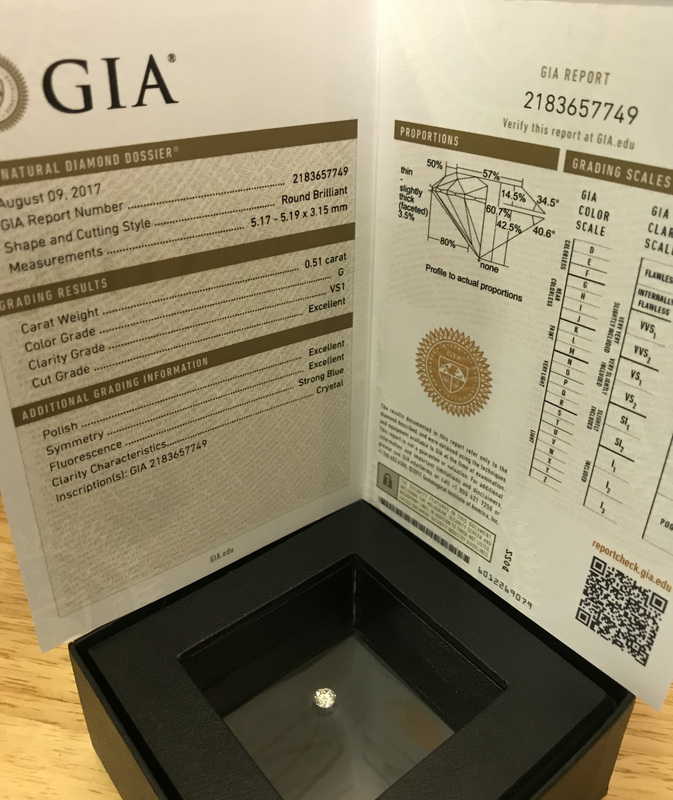 I spent months researching and shopping the open market for this diamond. It had to be cut to the highest standards and have a strong fluorescence. Some dealers will tell you that strong Fluorescence is a negative trait, but that's simply not true. In reality, diamonds showing strong fluorescence are much more rare and harder to come by. I paid a premium for this stone and unfortunately it never made it to its intended recipient. My loss is your gain. 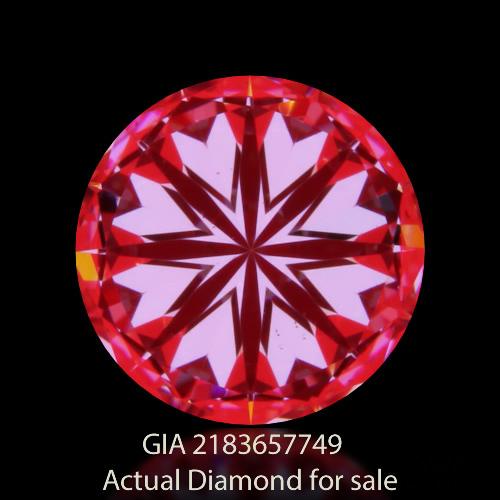 I hope this stone is exaclty what you're looking for.